The fixture for the pre-season games was announced today. 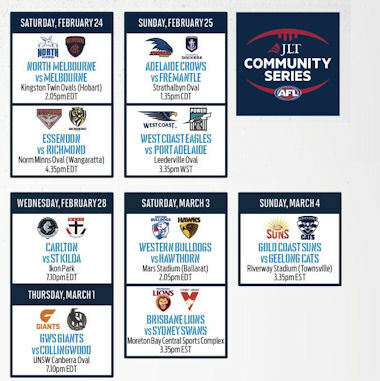 Each club will play two matches over the three week period. Previously this was three games over four weeks. We’ll be covering each of these games when they roll around in February/March. 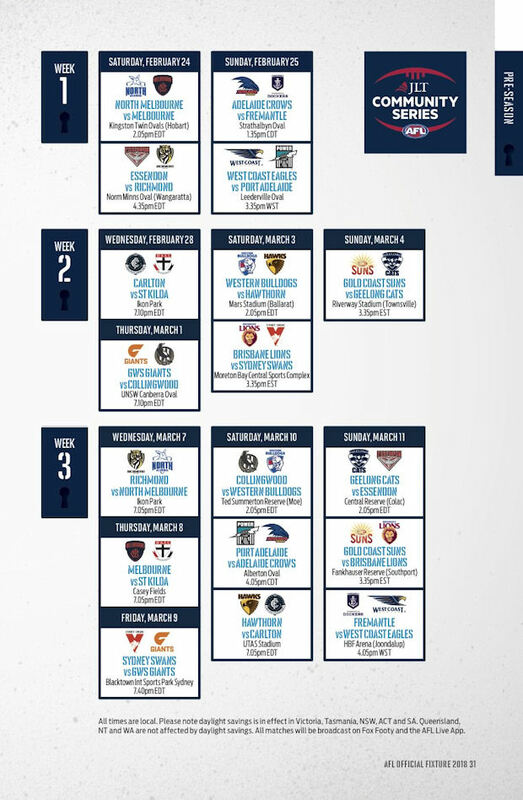 It will be interesting to see what the line ups will be in each of the weeks… specifically week three which is usually where we see best 22s. Next year we will most likely see “even better best 22s” in that final weekend which will be played out a fortnight before round one.